Since we're all heading into the holiday season, Party Food seemed a good choice for this challenge. It seems like all we do now is go to parties, lunches and dinners and eat wayyyy too much food. Not that that's a bad thing. We had some of our neighbor's over for dinner so I decided to throw caution to the wind and make a new appetizer that I could blog about for WCC. 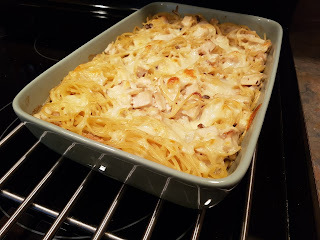 I normally don't like to cook something new when we have company, but I figured it would be OK as the recipe seemed pretty straightforward. 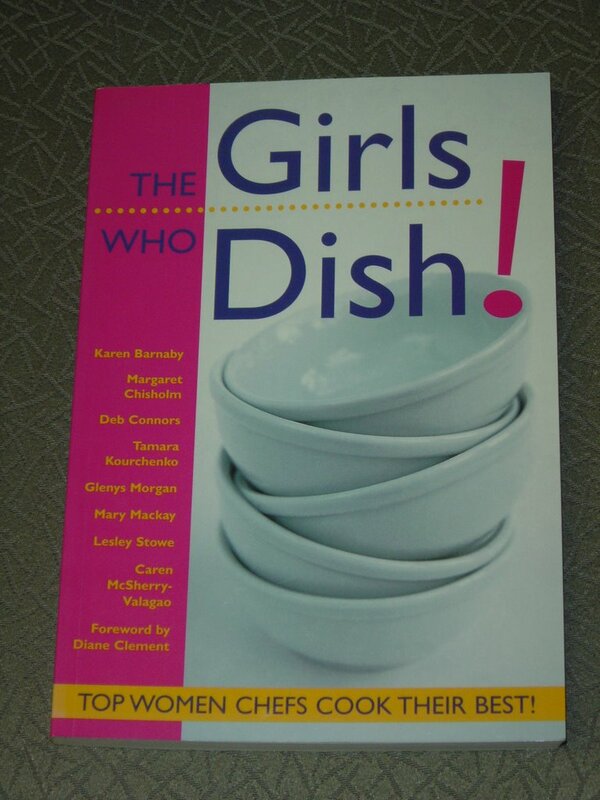 I used my cookbook called The Girls Who Dish! 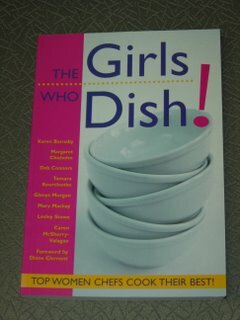 which is written by some wonderful Vancouver female chefs. I chose the Confit and Cambozola because it sounded good and wasn't very high maintenance. Just chuck it in the oven and leave it. What could be better? This was pretty good, although I wonder if maybe my garlic was getting old - it didn't soften very much. But it infused the tomatos and the "broth" with lots of garlic flavor, so I guess that's ok. This could be made for 10 people just as easily as it could be made for 4, and that's good party food. By Mary Mackay from the book The Girls Who Dish! Preheat oven to 375'. Slice about 1/8" (.3cm) off the tops of the tomatos. Place the tomatos cut side up in 4 ramekins. The tomatos should fit snugly (I baked my 4 together in a baking dish). 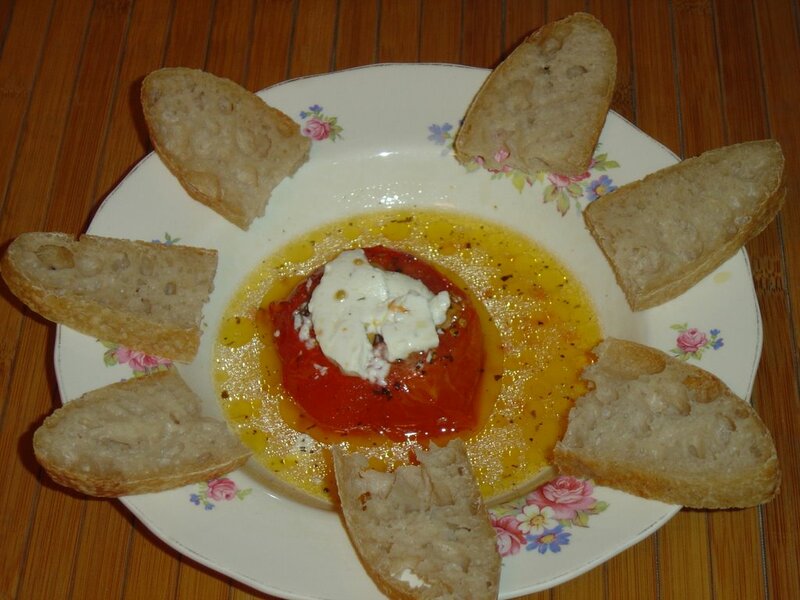 Press 5 garlic cloves into each tomato and sprinkle 1 tsp of basil over top. Drizzle each with 1 tb olive oil and season with salt. 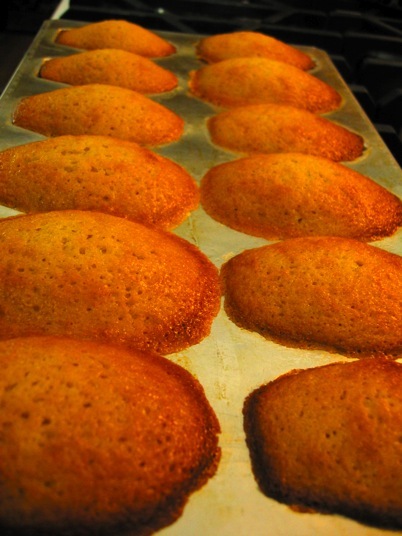 Place the ramekins on a baking sheet and bake on the middle rack for 75 to 90 minutes. To check for doneness, pierce a garlic clove with the tip of a paring knife; the garlic should be soft. 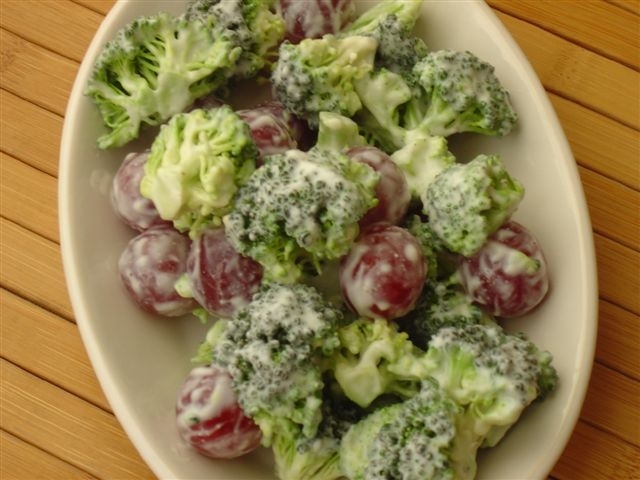 Remove from the oven and top each with a slice of cheese. Top each with pepper. 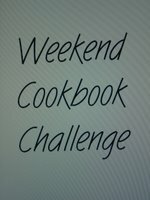 Don't forget to send me your post for the Weekend Cookbook Challenge! Email me by Ddecember 3. I was flipping thru some photos on my computer last night, and I came across a folder of pictures of food I had taken that I had never posted about. Some were meals that weren't very good, some are works in progress that I haven't finished tweaking yet, and some I just plain forgot about. Here's the best of them. 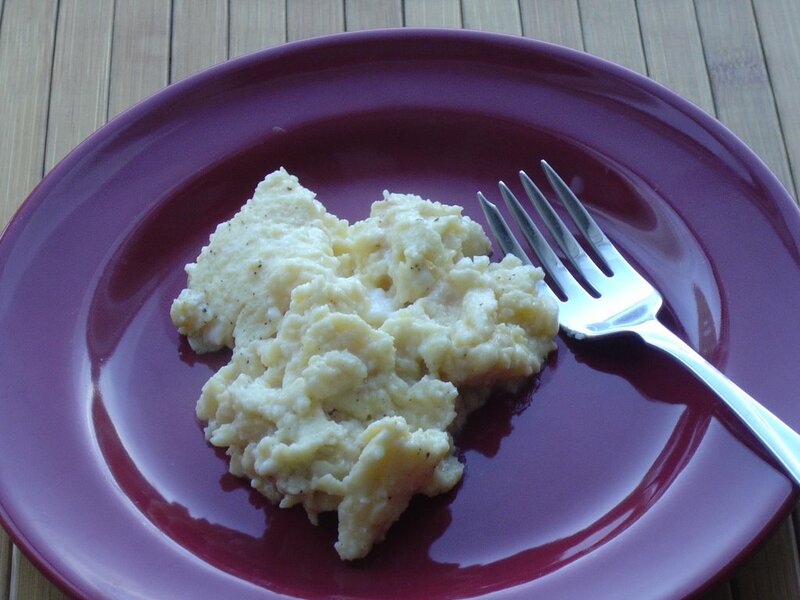 Here's a Welsh Rabbit (or Welsh Rarebit if you prefer) that I made in the spring. Rabbit is sort of like a reverse fondue. I added tomato slices to try to make it a more substantial meal. 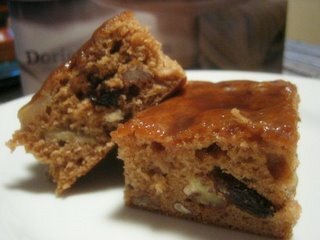 I remember that I made this with light cheese and non fat milk to ease it up a bit. I know I wrote the recipe down somewhere. It was good. I'll have to make this again. This was NOT good. This was our last vegetarian meal we ate before we abandoned our Vegetarian Week so we could go to Las Vegas. 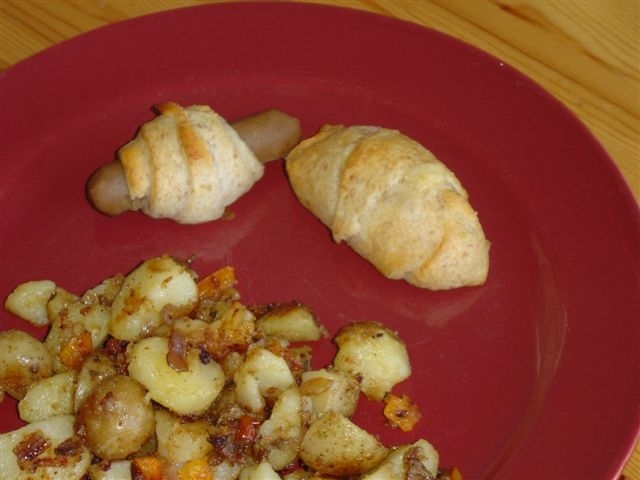 I made vegetarian pigs in a blanket with no-meat breakfast sausages. We did not enjoy them at all. Fortunately I had also made some pigs with just cheese in them, so all was not lost. I can't believe I forgot about this one! This is a work in progress vegetarian dish. I am trying to remember what is in it spice-wise, but I am drawing a blank. It has cauliflower and pineapple in it, two of my favorites. Here's the Tiramisu that I made for Scott's last birthday. 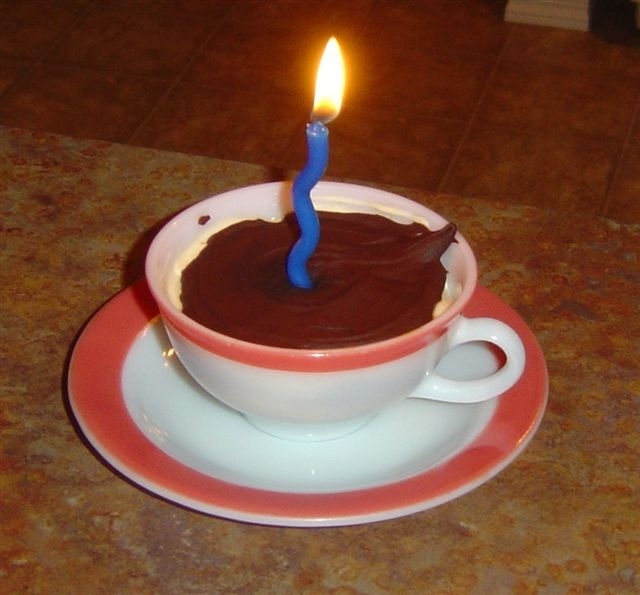 Seeing as his next birthday is not too far away, I better get this up. My mom has a killer Tiramisu recipe but it makes a ton. I found this recipe from The Surreal Gourmet to make individual ones. Mine is not as pretty, but hot damn were they good. This was a really great salad. It's got roasted tomatos and feta cheese in it. I got the recipe from a book from the library, I hope I wrote it down. I don't remember this salad. I think the dressing might have been homemade. This was a very good stir fry of peppers onions and beef. It had cumin in it which is my favorite spice, and lime juice. I think this one is from Cooking Light magazine. 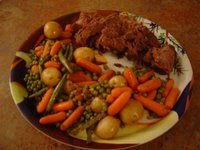 Pot Roast and veg cooked in the crock pot. I don't even remember making this. Here's another work in progress I forgot about. When we went to BC in the summer we bought some stuff from a fancy deli, and one of the salads was grapes and broccoli with homemade ranch dressing. 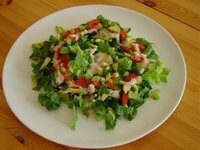 I made this shortly after we got home, but wasn't crazy about how my ranch dressing turned out. I'll have to try this one again though, it was very nice. So, Christmas is here. Everywhere I look the decorations have just exploded. Of course all the shops have been decorated since October, but it has spread to houses, parks, offices. The lobby of our office building looks like 600 elves threw up, and our receptionist spent the morning decorating our foyer on our floor. 3 of my co-workers decorated their houses this weekend, and one of the receptionists decorated HER house November 1! It seems too soon. Does it seem too soon, or am I just being a Grinch? Is it bad of me that I have no intentions of putting up any decorations until at least December 16? So tell me, When do you start decorating for Christmas? I am miserable today. 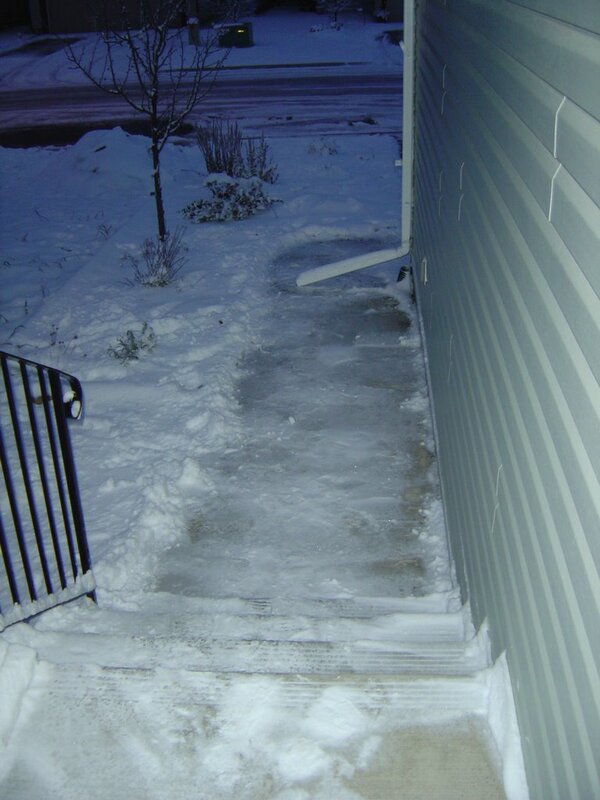 It's too cold and I shoveled the driveway and sidewalk 3 times this weekend and will have to do it AGAIN when I get home tonight. I am not a winter person. The Weather Network better not be lying about it warming up on Thursday. At the last farmers market in Millarville I bought a case of tomatos from my favorite tomato growers Whiskey Creek. I bought a case of half and halfs - half ripe, or nearly ripe and half green. I figured this would be great - not only would the green ones slowly ripen, keeping us in tomato heaven for a bit longer, but I could make fried green tomatos, too. 3 or 4 green tomatos, cored and cut into 1/4" slices. 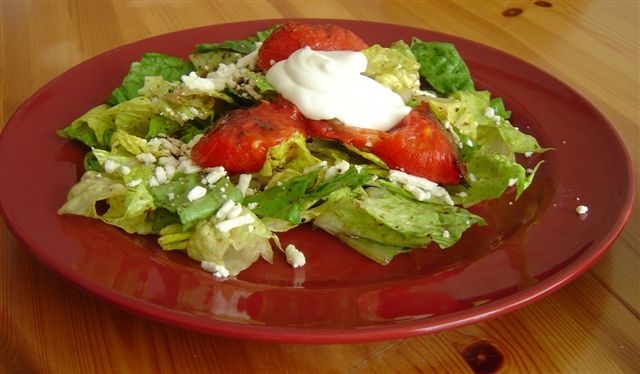 Place the tomatos and half the pepper in a large bowl and pour in the buttermilk. 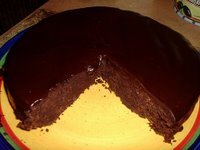 Refrigerate 6 to 8 hours. On a large plate mix the flour with the remaining pepper and the salt. Place the cornmeal on another plate, and whisk the eggs together in a bowl. Heat about 1" of oil in a large pan over medium high heat. Remove the tomato slices from the buttermilk and lightly shake them off. Dredge each in the flour, then dip in the egg , then coat with the cornmeal. When the oil is hot, add a few of the slices and cook, turning once, until brown and crisp on both sides, about 10 minutes total. Drain on paper towels and keep warm while you cook the rest of the slices, adding more oil to the pan if needed. 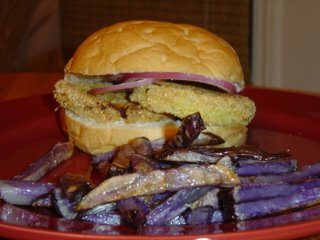 My Fried Green Tomato Sandwich has garlic mayo, basil and red onion slices. Can't get much better. What: A communal meal shared by friends at the dinner table. The most traditional and common sort is a Cheese fondue, where cheese is melted and mixed with beer, kirsch or wine, seasoned and served warm in a pot on the table with long forks to dip bread cubes in. There are also Oil, Broth and Dessert fondues. Where: Fondues can be prepared in restaurants or in the home. Make sure you take care if you are using a fondue pot with an open flame, or having an oil fondue. Nothing wrecks a fondue party like a fire or third degree burns. When: Some say fondues originated in the long winters in the 1800's of Switzerland. 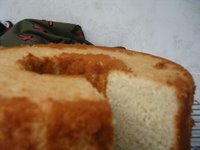 Not only were they a hearty filling meal, they also made use of stale bread and dried hunks of cheese when food was scarce. The fondue made a huge comeback in the swinging 70's. Why: Why? Cause it's good! Fondues aren't necessarily healthy, but they are fun. The more the merrier around the pot! 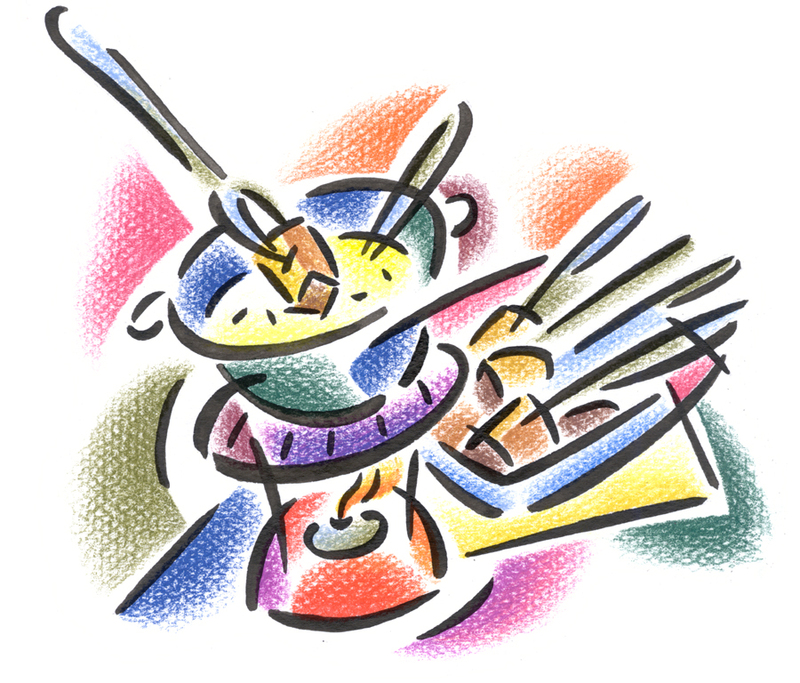 Make sure you have a knowledge of fondue etiquette and let your guests know too. Unless you know your company intimately, the forks that are used to dip the food into the pot should not be placed in your mouth. The food should be removed to your plate, and another fork used for the eatin'. Don't forget - if a gentleman loses his food to the fondue pot, he must buy a round of drinks for the table. If a lady loses her food to the pot, she must give a kiss to all the gentlemen at the table. Warm a heatproof bowl by either setting in a low oven, or filling with boiling water and leaving it to sit. 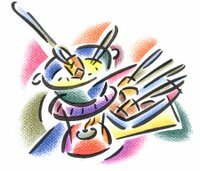 If you would rather use a fondue pot, then do the cooking in the pot rather than on the stove. Rub the inside of a medium pot with the garlic clove. Discard clove. Heat the pot over medium heat. Add the beer and bring to a simmer. Toss the cheese with the flour and add the cheese, one handful at a time to the beer, letting the cheese melt before adding more. 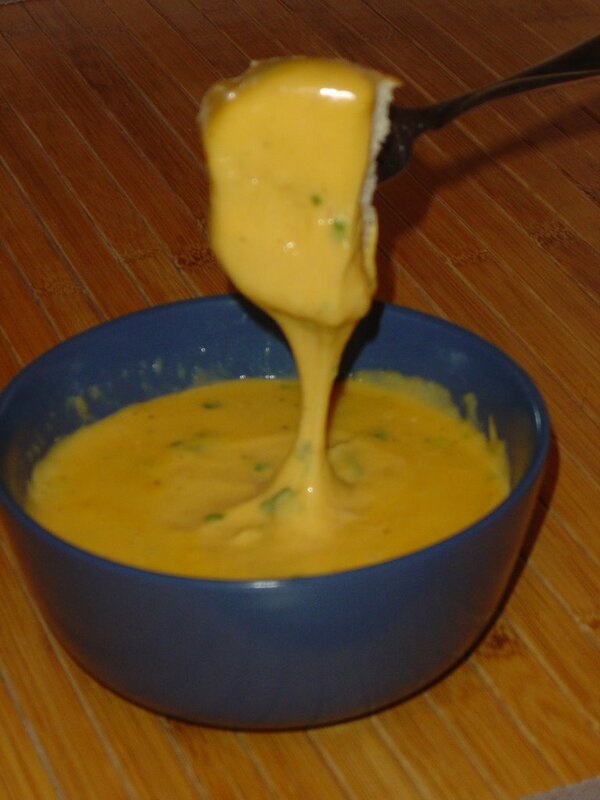 When all the cheese is added and melted and smooth, stir in the Worcestershire, mustard and green onion. Season with salt and pepper if needed. Pour into your warmed heatproof bowl, and serve at once with cubes of bread and veggies. 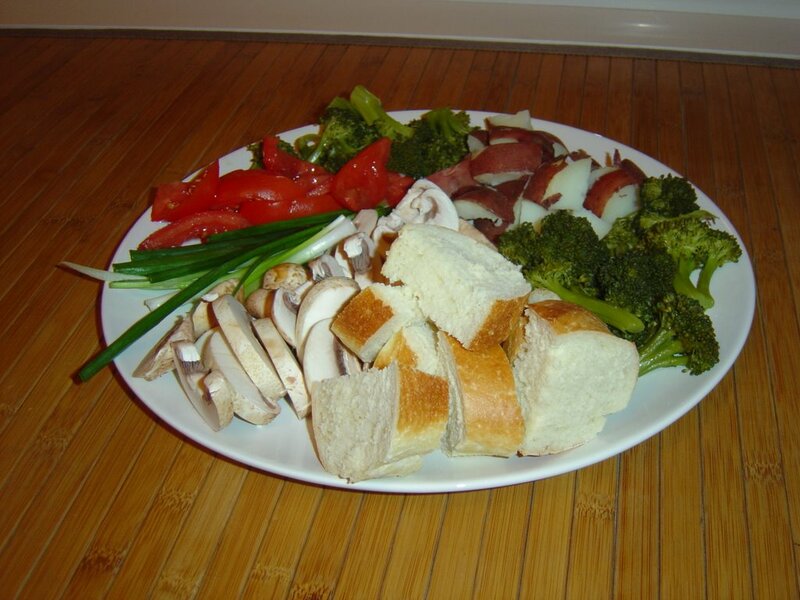 We had steamed potatos and broccoli, bread, and raw mushrooms, tomatos and green onions. These fondue balls come from Nigella's latest book "Feast" and they are quite something. 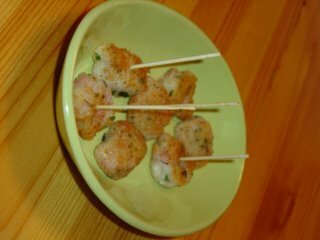 They are a snap to make, they just need some chilling, so it's a good appetizer to make ahead of time. Beware, they are addictive! Melt the butter and oil in a pan and add flour, stirring together to make a roux. Whisk in the wine and milk and the stock liquid or powder and keep stirring over medium heat until the white sauce comes to the boil and is really really thick. Cook, stirring for 5 minutes. Take the pan off the heat and stir in the nutmeg, pepper to taste, ham, parsley and cheese. Transfer to a shallow dish to cool and cover the surface with some plastic wrap to prevent a skin from forming. When cool, put in the fridge to become completely cold and solid. 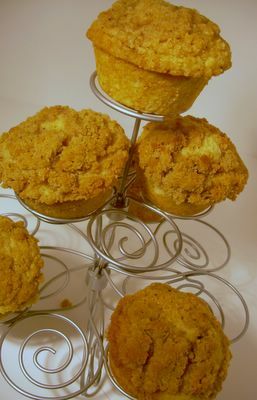 Roll teaspoonful's of the mixture into balls and then coat in the crumbs. Heat 1 cm of oil in a frying pan and cook the fondue balls until golden on all sides. ***Very Important, as I learned the hard way - Drain briefly on paper towels and let sit for a couple of minutes so you don't burn your mouth! A dessert fondue can be made quickly and easily - chop up some good quality chocolate or better yet, a Toblerone bar, and melt it with a bit of liqueur or cream. Serve with pieces of fruit, marshmallows and cake bits. There aren't a ton of places that do fondue, but Alberta has a great restaurant in Banff, the Grizzly House Restaurant which is a very old skool fondue place - dark and sort of 70's, with some amazing and tasty stuff on the menu. My very favorite is the Bagna Cauda Fondue, which means "hot bath" and is a garlic, butter, oil and anchovy fondue that you dip bread cubes and veggies in. It was heavenly. I thought about making it at home, but all that oil and butter aren't good for the waistline. This Bagna Cauda recipe doesn't have any butter (why?) but does sound pretty good. Thanks to all of you who left comments and suggestions on my last post. The Swedish dinner is sort of coming along - I am on the search for side dishes/veggies now. Keep sending ideas/websites if you have 'em! Thanks! Yesterday I went to 2 used book stores looking for ANYTHING Swedish. I was basically unsuccessful at both stores - all I found were a few recipes for Swedish Meatballs in some "Food of the World" type cookbooks. The second store was so cluttered and unorganized that I was there for nearly an hour. It was not a total bust; I did buy 2 books. First is Skinny Feasts by Dee Hobsbawn-Smith. It looks brand new and still has it's original $20.00 price tag on the back. I got it for $1.99! Whooo! 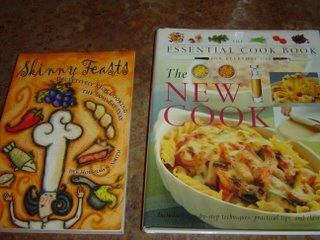 The other one is called The New Cook and I got that one for $5.99. 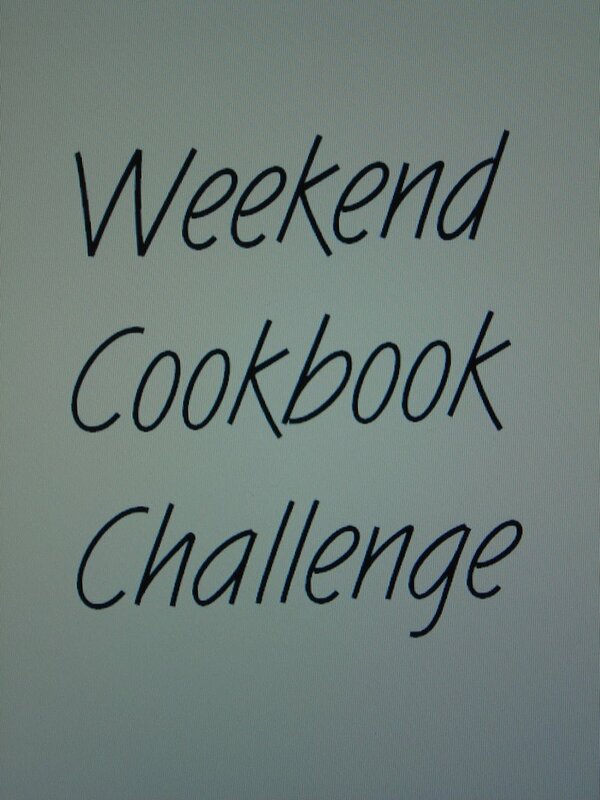 Don't forget the next Weekend Cookbook Challenge entry date is only two weeks away! 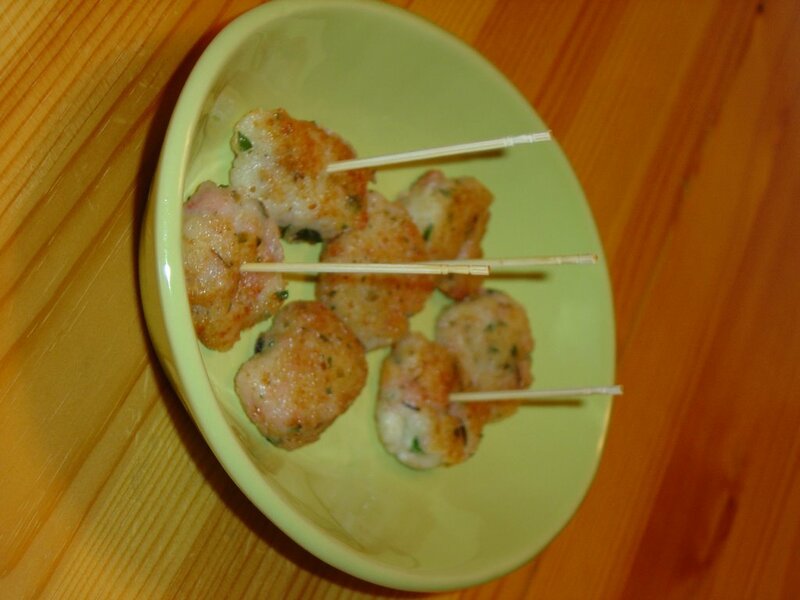 The theme for the 11th edition of WCC is Party Food. So whip up anything party-like and email me (iliketocookATshawDOTca) by December 1. See you on Friday for the letter F! Swedish Meatball Dinner and a cry for help. My parents are coming out for Christmas this year. Last year at their house, my dad mentioned that one year he'd like to have a Swedish Christmas dinner. I've decided this will be the year. However, I'm running into a brick wall. 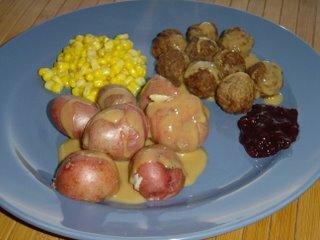 What do you serve at a Swedish Christmas dinner? Other than desserts, the only Swedish meals I know are Salmon (which I don't like) and Swedish Meatballs. Our community library doesn't seem to have any Swedish cookbooks and with Christmas coming I can't really afford to buy a new cookbook. So my dear friends in the computer: can any of you help me? 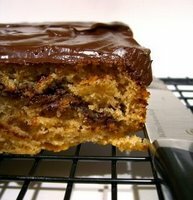 Do you have any suggestions for recipes or websites I could try? MY FAMILY'S CHRISTMAS HAPPINESS IS IN YOUR HANDS! No pressure though. Here's our first attempt at Swedish Meatballs which I have to say went very very well. I used Schneiders Oh Naturel! Meatless Meatballs because that's what we had, and I swear, you couldn't tell the difference. Scott didn't. And lingonberry jam is my new favorite jam. Who knew jam and gravy went so well together? Not me. So anyway, if anyone out there can lend a hand, I sure would appreciate it. What: Eggs are... well, we all know what eggs are. Let's just say that most eggs that are consumed by us are of the chicken variety. You can also get duck, goose, ostrich and quail. The shell is also edible, but is rarely eaten. When: Eggs are readily available. Where: Hmm, eggs are readily available everywhere! Why: Eggs are an excellent source of protein. They are also a good source of Vitamins A, D and E. All the fat contained in an egg is in the yolk. One egg has 70 calories and 5 grams of fat. 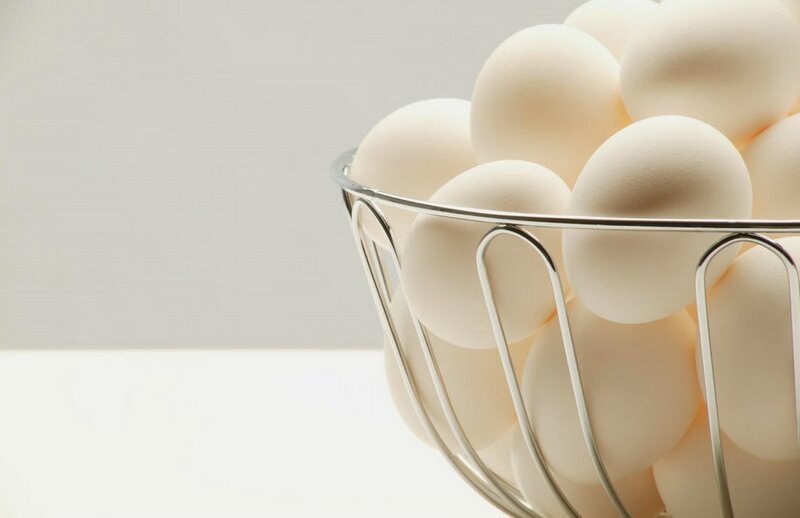 The health community seems to always be changing their minds on whether eggs are actually bad or good for us. Right now it seems that the general consensus is that eggs are good. They are inexpensive and easy to prepare. Eggs can be used in sweet and savory dishes. On their own they can be hard or soft boiled, pickled, scrambled, fried and baked. 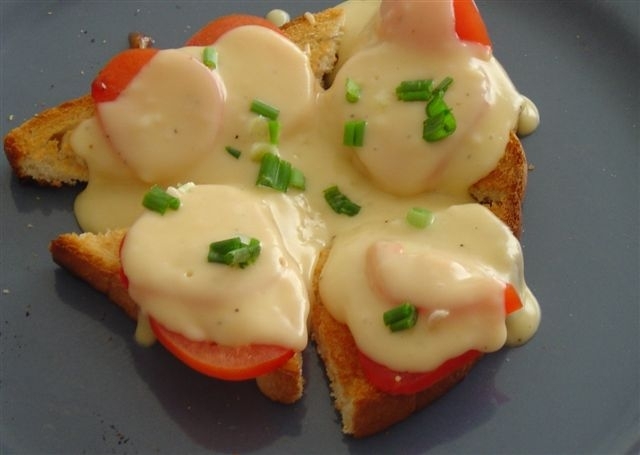 Eggs are crucial in the preparation of Mayonnaise, Hollandaise sauce, and custards. Did you know? 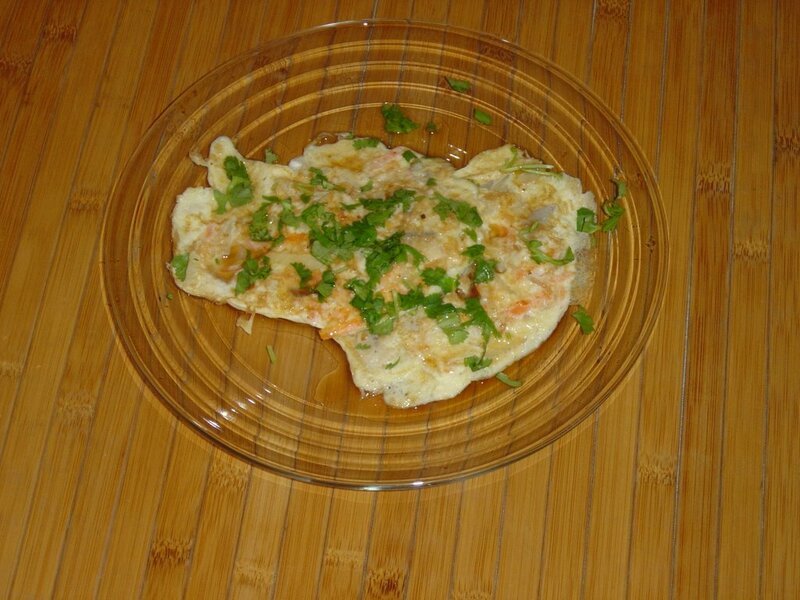 The world's largest omelet was made in Madrid by Chef Carlos Fernandez. It was made from 5,000 eggs and weighed 1,320 lbs! double boiler or a pot and large heat proof bowl. Fill the bottom of your real or makeshift double boiler with water, about half full. Make sure the water doesn't touch the top pot or bowl. Bring water to a simmer. Place the top of the double boiler or bowl over. Put 1 tb of butter in the bowl and heat until the butter is melted. Check the water occasionally to make sure it is never at more than a gentle simmer. 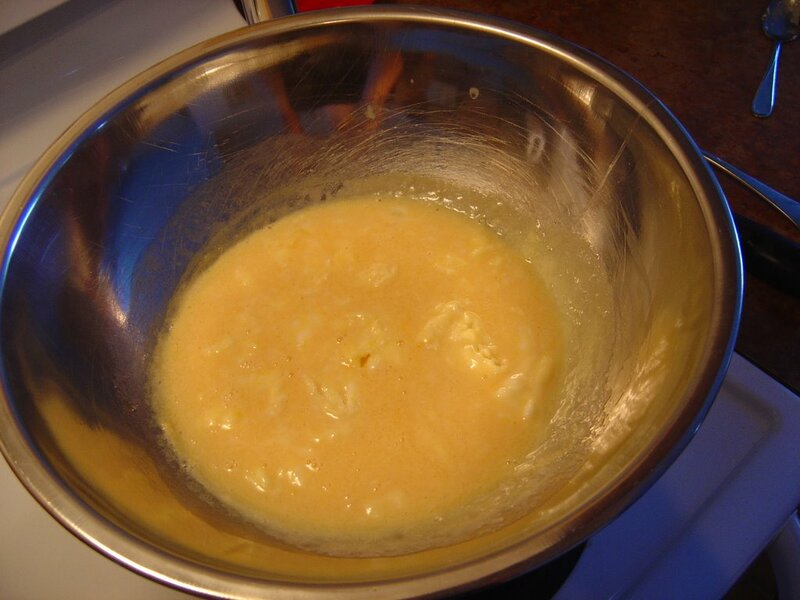 When the butter is melted, crack in the eggs and add the cream. Stir gently to blend together. Let cook over the simmering water, stirring carefully every 2-3 minutes. 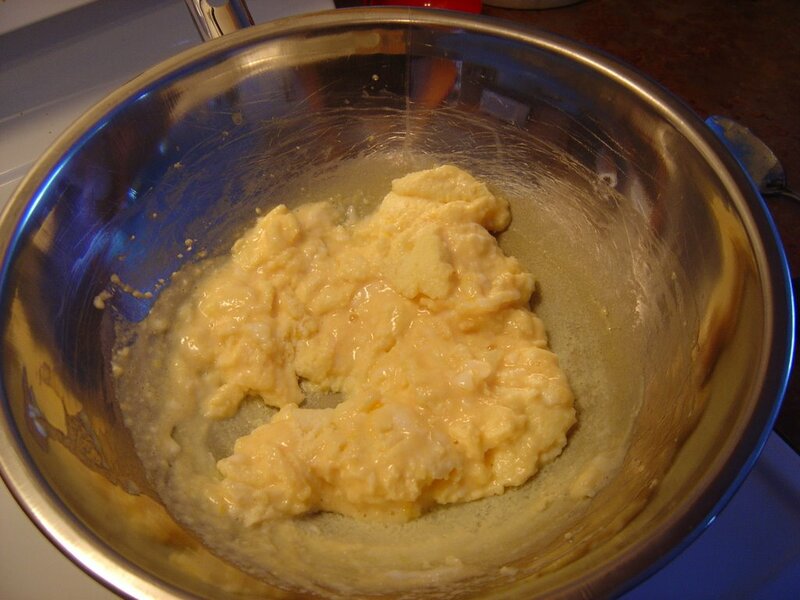 When the eggs are almost set to your liking, break up the last tb of butter over top and fold in. Season with salt and pepper and continue cooking until set. Serve straight away. Squirt with ketchup if you must, but they won't need it! Whisk together the eggs and the vegetables (I sometimes add some grated carrot or thinly sliced mushrooms to the vegetables depending what brand I buy and what they have in them. This particular time the veggies were bean sprouts, water chestnuts and baby corn). Heat a bit of oil in a large frying pan over medium heat. When hot add a ladleful of the eggs to form a small patty. Cook for 3-4 minutes on both sides until set. Keep them warm while you make the rest of the patties. 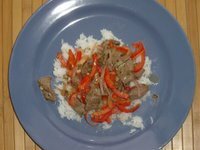 Serve with the sauce or with hoisin or soy. 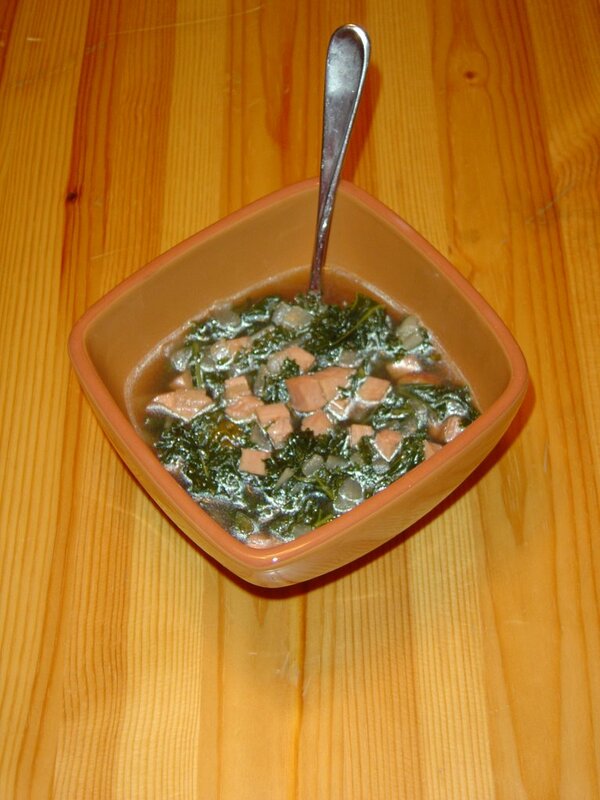 To make the sauce - combine all the ingredients in a small saucepan over low heat. Stir to dissolve the sugar. Serve warm over the egg foo young. Look at all my beautiful treats I received courtesy of Canadian Blogging By Post 2! I was paired up with the lovely Brilynn of Jumbo Empanadas. Besides a very sweet letter, Brilynn included some wonderful gifts from her garden and some local homemade chocolates! 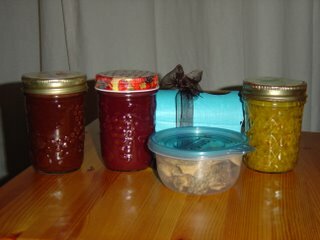 From the left: Apple Butter, which I can't wait to try - I've never had it before, Wild Cherry Syrup, yummy Chocolates that have almost all been eaten, dried Morels from Brilynn's property and Zucchini Relish made from her Mom's recipe. Thanks so much, I can't wait to start digging into some of this on the weekend. And Brilynn, you'll have to send me a recipe for what to do with the morels. I've never had them before and don't want to waste them. Also, a big thanks to Jasmine at Confessions of a Cardamom Addict for hosting CBBP2. Thanks for asking me to take part! Spotlight On - Baking: From My Home To Yours - The Round-up! 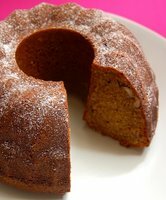 Hey everyone, and thanks for coming to check out the round-up for Spotlight on - Baking: From My Home To Yours. This is a cookbook event/review that I organized with my friends at Houghton Mifflin Publishing Company. 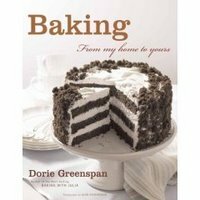 We asked 24 bloggers to join me in checking out the new cookbook Baking: From My Home To Yours by the wonderful Dorie Greenspan. I would like to thank all the bloggers who agreed to take part in this with me. I've enjoyed chatting with so many of you over this past month, getting to know you a bit better and discovering some new food blogs from you along the way. I'm glad all of you had a good time too. We've got lots of great reviews and delicious food, so let's get started. First up we have the lovely Jasmine from Toronto, Ontario and her always delicious blog Confessions of a Cardamom Addict. Jasmine has also just started up a new site The Sensual Gourmet that you should check out too. For the Spotlight Jasmine tried out the Mango Bread, Tribute to Katherine Hepburn Brownies, Tiramisu Cake and the All American All Delicious Apple Pie. Kalyn is the author of the popular blog Kalyn's Kitchen in Salt Lake City, Utah. 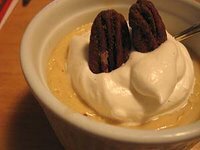 As many of you know, Kalyn's blog is mainly about the South Beach Diet, so I was so happy when she agreed to join us and prepare a (somewhat) suitable dessert for those on the program. 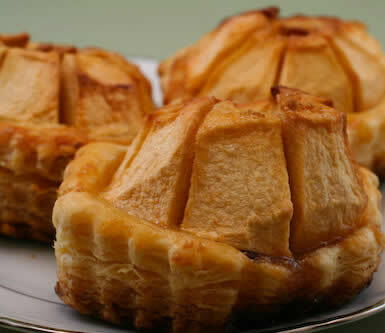 The Parisian Apple Tartlet looks delicious for anyone, dieter or not. Thanks Kalyn! Next up is Peabody from the totally amazing blog Culinary Concoctions by Peabody. Last month Peabody won the Edible Category in Does My Blog Look Good In This? and it was well deserved. 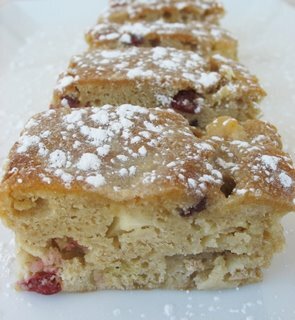 She rocked this event with the Chipster Topped Brownies and Cranberry Upside Downer. Michelle and her blog Je Mange la Ville hail from beautiful Portland Oregon. She made the Swedish Visiting Cake and some delicious Real Butterscotch Pudding. Thanks for joining me Michelle! Nic at the popular Baking Sheet is from Los Angeles, California. 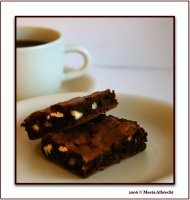 She is a great baker and enjoyed Dorie's Cinnamon Chocolate Square. Here's our first international blogger! Pam is a wonderful blogger and soon-to-be-mom over at Posie's Place in Germany. Despite calling herself a novice baker, Pam really hit it out of the park with the scrumptious Tall and Creamy Cheesecake. Pam I hope you saved me a piece! And my good friend Mary (aka Breadchick) with her blog The Sour Dough from Cambridge, Massachusetts who co-hosted WCC #10 with me tried out a ton of recipes! Ready, here we go, My Best Chocolate Chip Cookies, Lemon Poppy Seed Muffins, Flaky Apple Turnovers, Caramel Topped Flan, and the cover recipe - Devil's Food White Out Cake. They all look super Mary! One of my favorite Canadian bloggers, heck, favorite bloggers from anywhere is Ruth from Toronto Ontario and the delicious Once Upon a Feast. 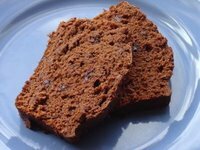 Ruth says that Dorie's Tribute to Katherine Hepburn Brownies are the best brownies she's tasted EVER! Sounds good to me, thanks so much for taking part Ruth! 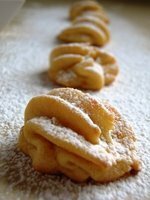 Another favorite of mine is the lovely Ivonne of Cream Puffs in Venice who is also from Toronto, Ontario. There must be something in the water! 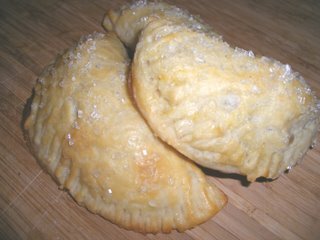 Ivonne tried out the Buttery Jam Cookies and Flaky Apple Turnovers and loved both. Grazie, Ivonne for taking part in the Spotlight! Say Hi to another fellow Canadian, recently moved to Halifax, Nova Scotia; Paige aka Chef Girl. Paige enjoyed both the Oatmeal Breakfast Bread and Cranberry Upside Downer. Thanks for taking part in the Spotlight Paige! Rachel from Baltimore, Maryland has two great blogs; the always yummy Coconut and Lime and her newer site, the stylish Food Maven. 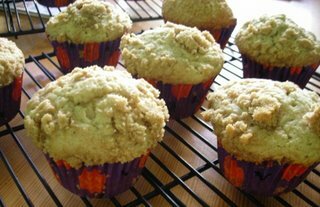 Here's what Rachel thought of the Allspice Crumb Muffins and Brrrownies. I was so thrilled when Emmy from Vegan Diva agreed to take part. With many people either unable to or choosing not to eat dairy/animal products, Emmy takes 2 recipes and shows us how they can be veganized. 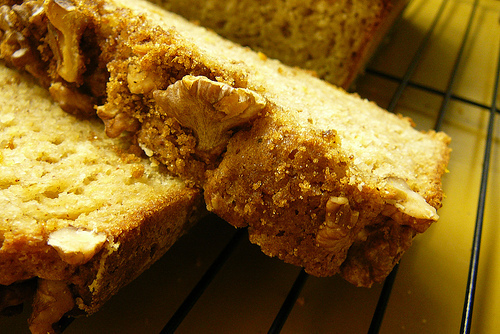 Here's her versions of Dorie's Dimply Plum Cake and Peanuttiest Blondies. Emmy, thanks again! I love to visit Lea at Copperpots in Viera, Florida. She's so much fun and has tons of great looking food. 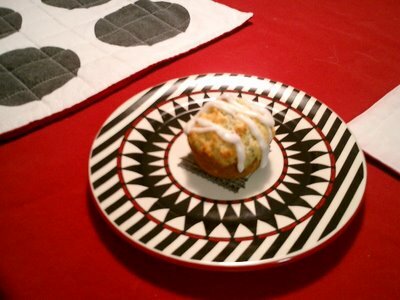 Thanks Lea for trying out the Basic Biscuits and Lemon Poppyseed Muffins. They look super! 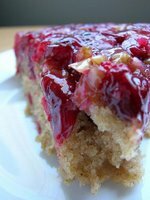 Not only does Sarah Jane has a fabulous blog, Chef Sarah Jane, she also has a fabulous name! 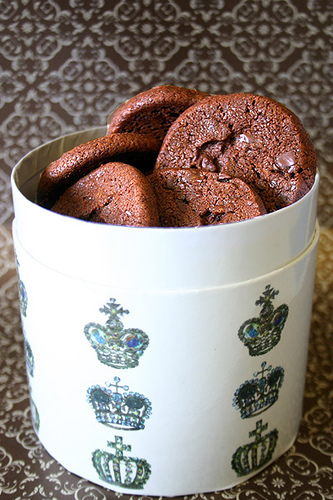 (It's sort of weird too, she's Sarah Jane, I'm Sara Jean...)Another Canadian, but living in LA, Sarah gave two of the most popular recipes a try, My Best Chocolate Chip Cookies and Lemon Poppyseed Muffins. And here's the lovely Lis from Ohio and her equally lovely blog La Mia Cucina. Lis baked up a storm to share with us the World Peace Cookies, Tarte Tatin and Almost Fudge Gateau and the Sugar Bundt Cake. Lis, you rock! 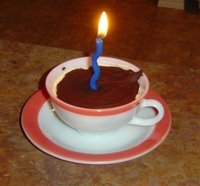 And PS - Happy Birthday! Morgan made my day when she agreed to take part in this here Spotlight! She is a fellow Calgarian and author of the food/life (is it OK that I called it that?) blog Musings of a Wench. 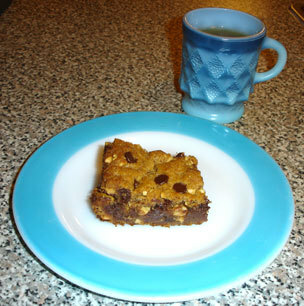 Morgan checked out two recipes - My Best Chocolate Chip Cookies and Coconut Tea Cake. I'm sure most of you know Meeta of What's For Lunch Honey? from Weimar, Germany. Meeta has both wonderful recipes and some beautiful photography on her site. Thank you, Meeta, for trying out theClassic Brownies and Cranberry Upside Downer for us. Gorgeous as usual! I was very happy to discover Pavani and Cooks Hideout a while back. 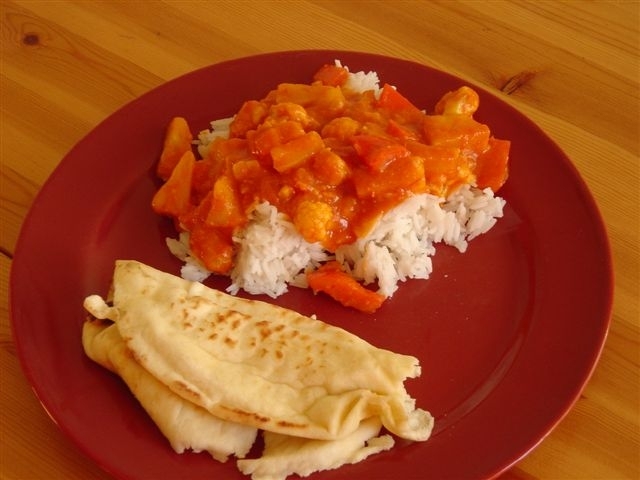 Pavani cooks tons of amazing looking food, and I've tried some of her Indian recipes. So. Good! I'm so glad Pavani agreed to help me out for the Spotlight. 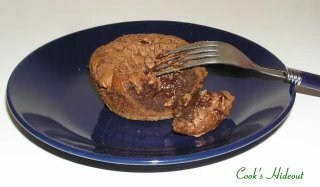 Here's her review of the book and the Gooey Chocolate Cakes. Linda, who joined me for a different cookbook review in the summer, is back again! Here's Linda's (from Kayak Soup) take on the Applesauce Spice Bars. Next is Jen from Sydney Australia and her lovely site Milk and Cookies. 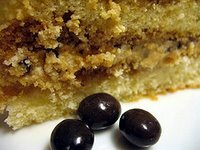 Jen has some fabulous baking and restaurant reviews. I wish I could fly over to Sydney and eat at some of those places, they sound so good. Jen tried her hand at the Rugelach and World Peace Cookies and loved both. Thanks Jen. Yay!!! Tanna has come back from her long trip (lucky gal!) and has a new website too, The Half Cup. Unfortunately her first site became corrupted. Sorry Tanna. But thank you so much for taking part and trying out all these yummy recipes: Dimply Plum Cakes, Sweet Potato Biscuits and Madelines. Do you all know Stephanie? The whiz of a hostess over at Dispensing Happiness? Among other things, she hosts a Blog Party every month; you should check it out. Stephanie and her cool cupcake stand joined in and tried out the Chocolate Chunk Muffins, Allspice Crumb Muffins and Chocolate Malted Whopper Drops. A Thank You to Cate from Sweetnicks who squeezed us into her very busy schedule. Hope your Mom is feeling better Cate. 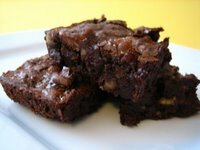 Cate couldn't resist trying the Quintuple Chocolate Brownies and frankly, who could blame her? They sound delicious. And me, well I'm Sara of i like to cook, from Calgary Alberta and I enjoyed every minute of this event! I'd like to thank my husband Scott and all my other tasters who helped me eat all the Savory Corn and Pepper Muffins, Coco Nana Bread, Brownie Buttons, Fresh Mango Bread and Buttery Jam Cookies. 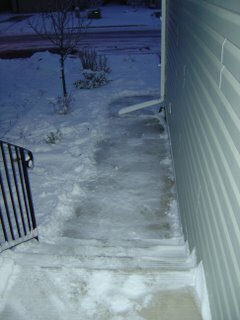 It was tough, but somehow we did it! I love special guests, and here's one for the round up. Helen from Tartelette emailed me and told me that she too had this book and was loving every single thing she had made out of it. Helen has a delicious blog full of scrumptious treats. Helen - I'm still waiting for one of your delicious macaroons! Is it on it's way?? Thanks for emailing me Helen, and thanks for contributing your posts on Dorie's Lemon Merengue Tarts and Applesauce Spice Bars. Delicious! Well friends, that's it! Once again I'd like to thank all the bloggers who took part . I'd also like to thank Houghton Mifflin Publishing Company, especially David, for asking me to work with them for this event. It was a total thrill. And finally, a HUGE thank you to Dorie Greenspan for just being a warm, talented and gracious person. I hope you enjoyed reading this as much as we enjoyed putting it together.